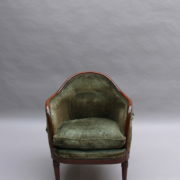 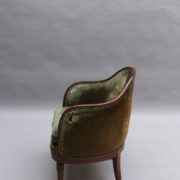 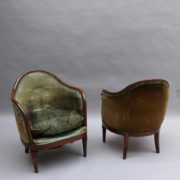 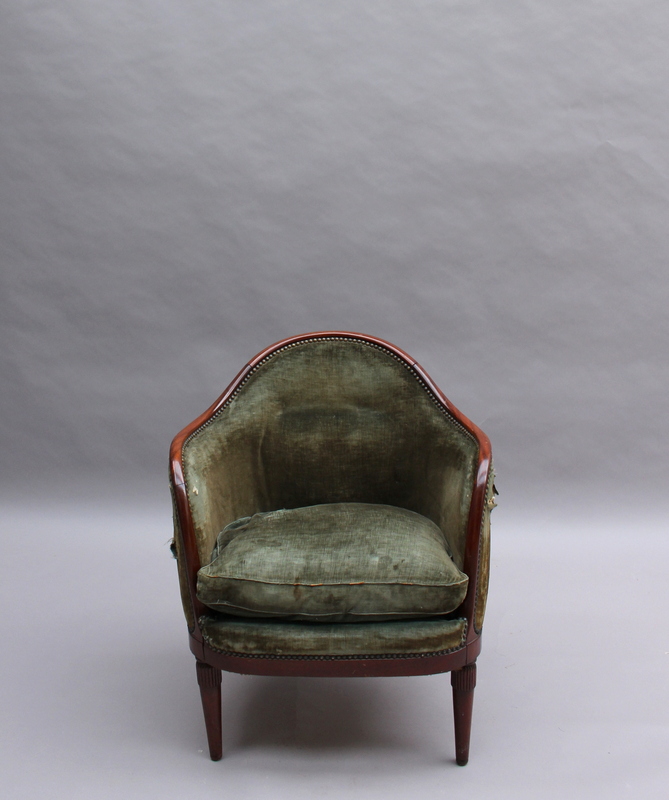 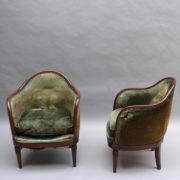 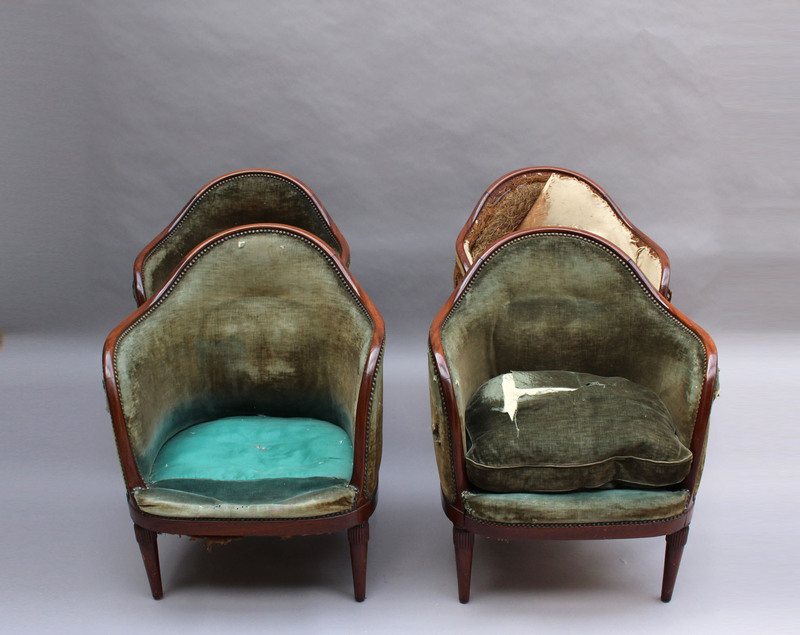 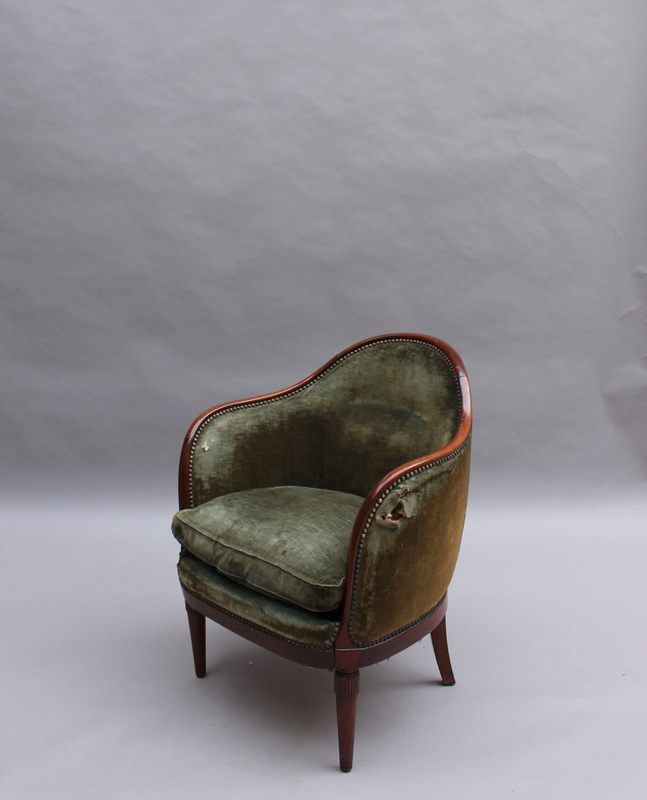 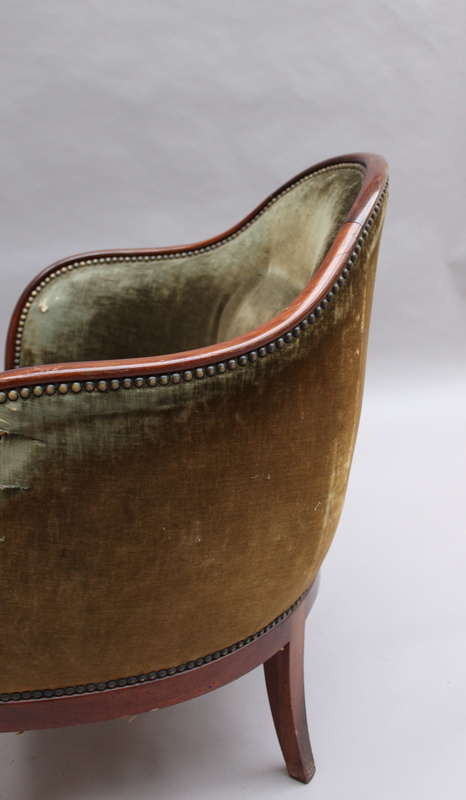 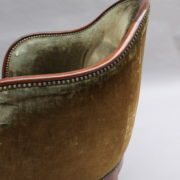 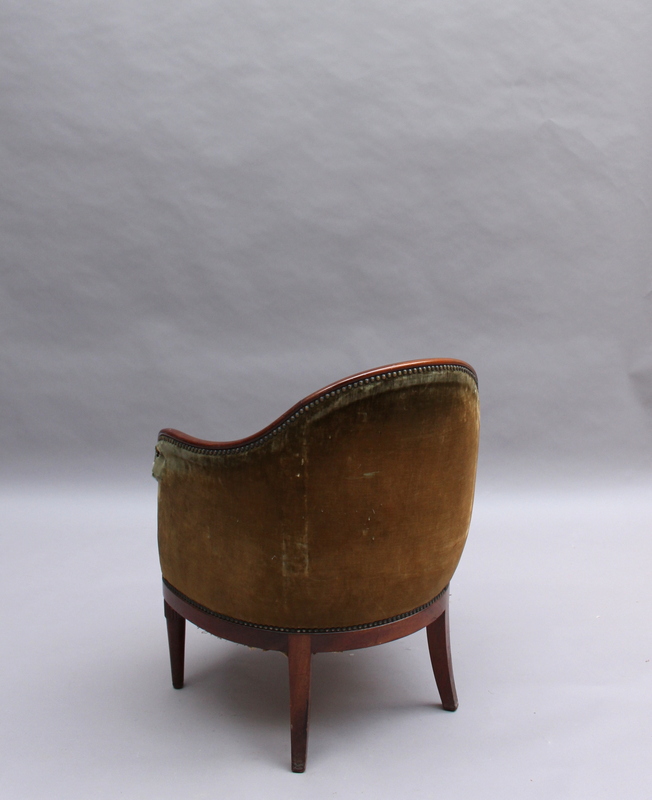 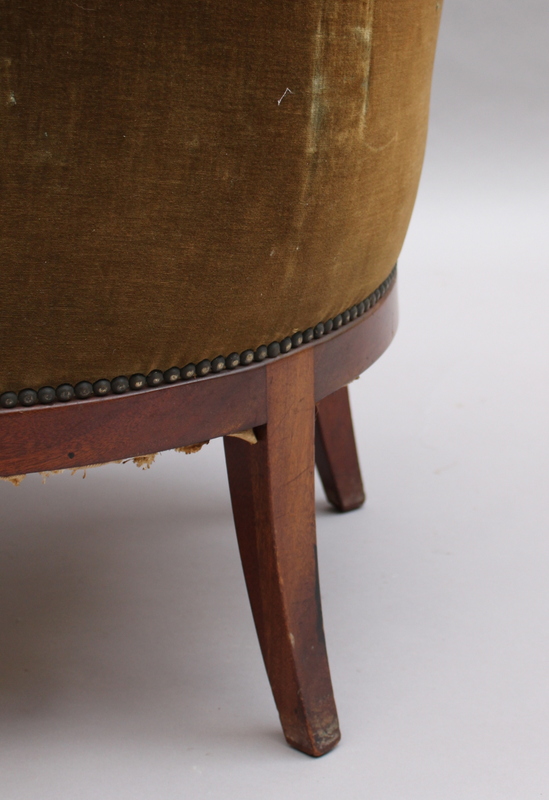 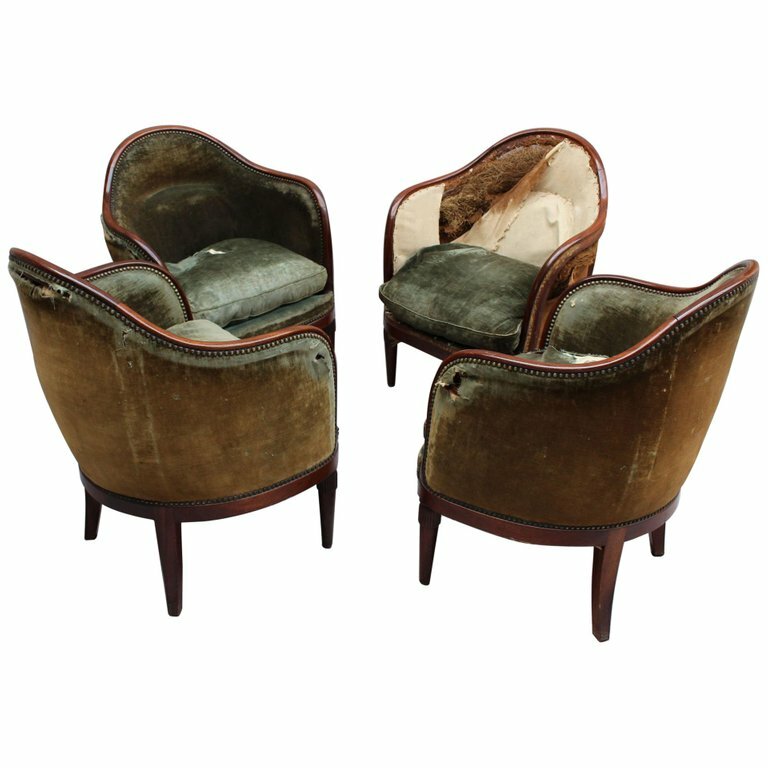 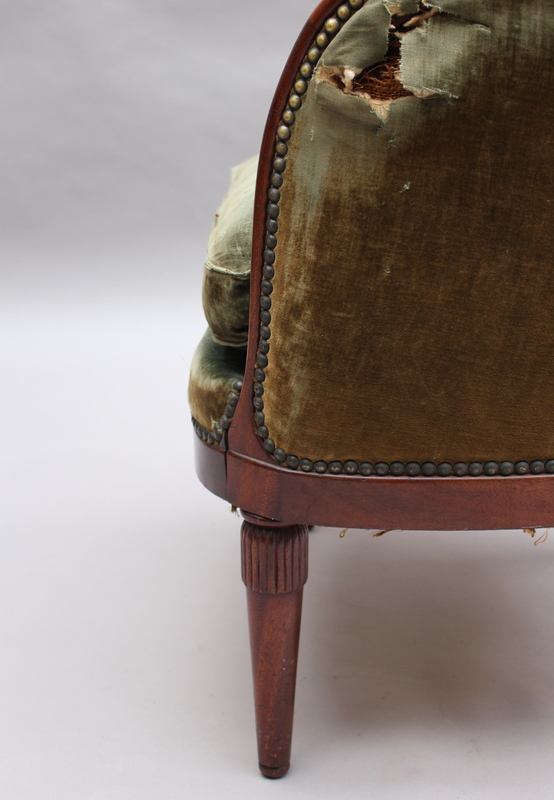 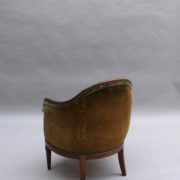 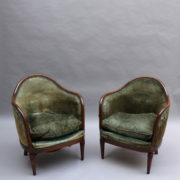 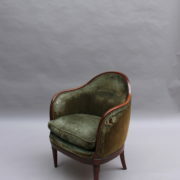 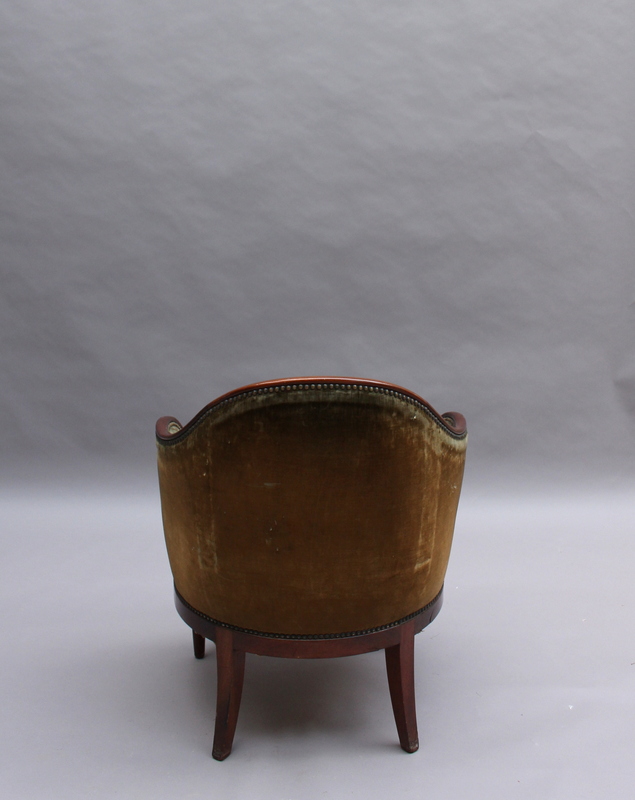 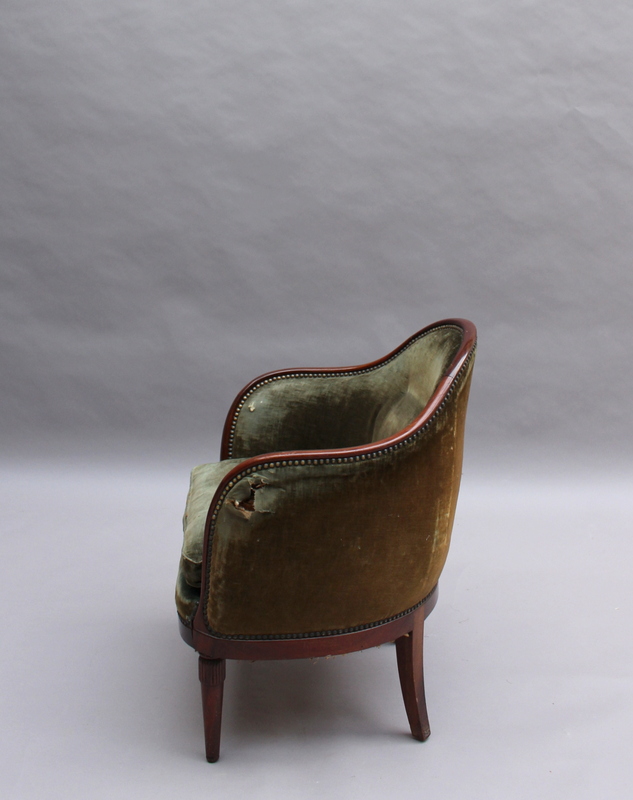 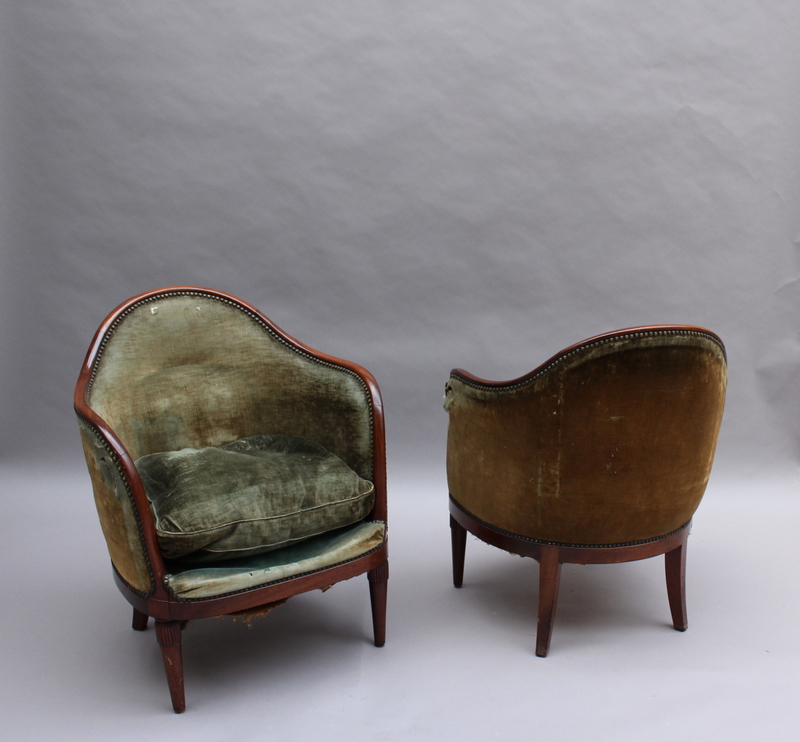 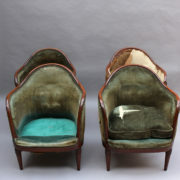 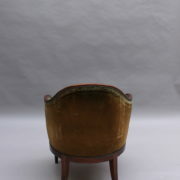 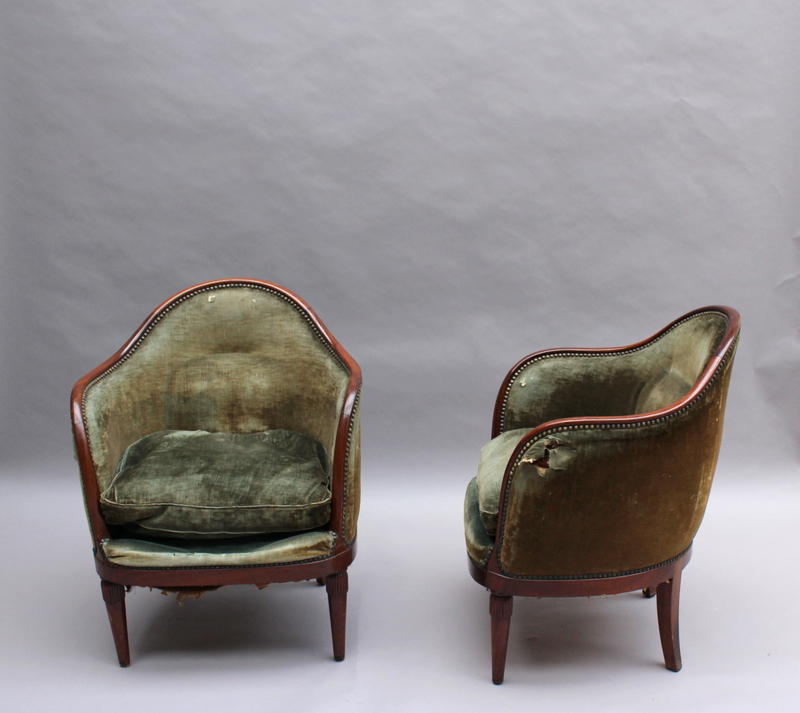 Four fine French Art Deco mahogany gondola armchairs. 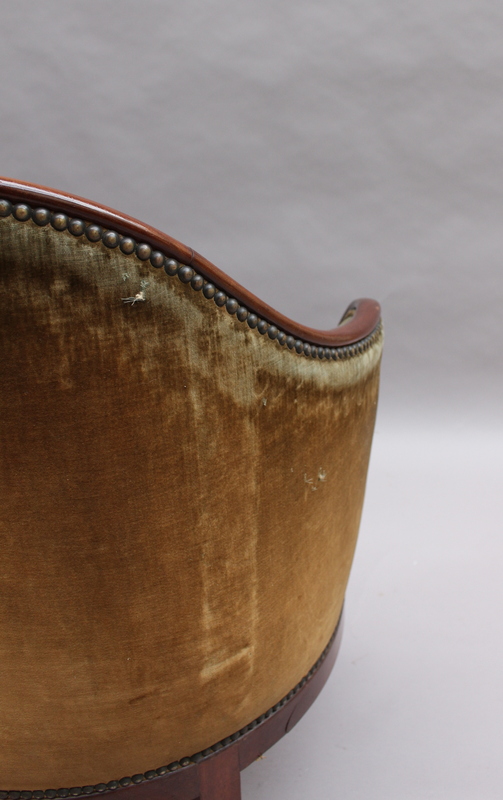 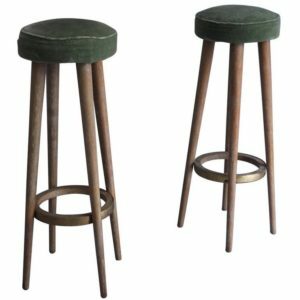 Shows light scratches and wear from previous use but remains in fair condition. 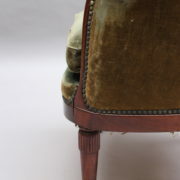 May have some structural issues, including minor instability. 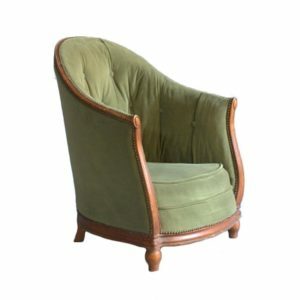 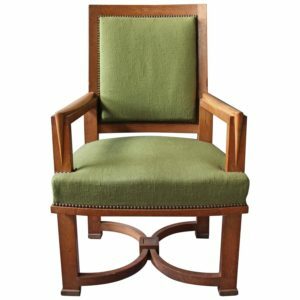 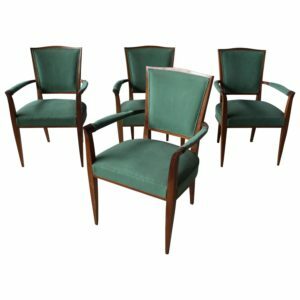 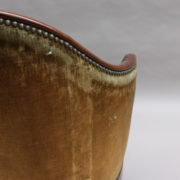 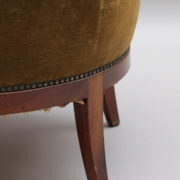 Soyez le premier à laisser votre avis sur “4 Fine French Art Deco Mahogany Gondola Chairs” Annuler la réponse.